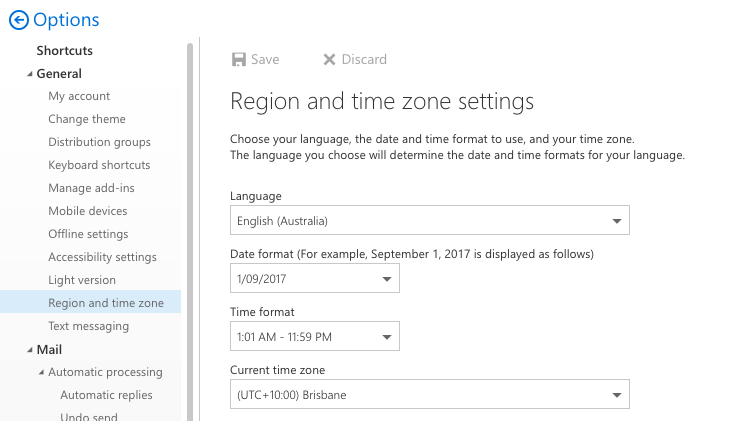 Setting your Region and time zone settings in the Outlook Web App will ensure your messages have the correctly formatted date and time. 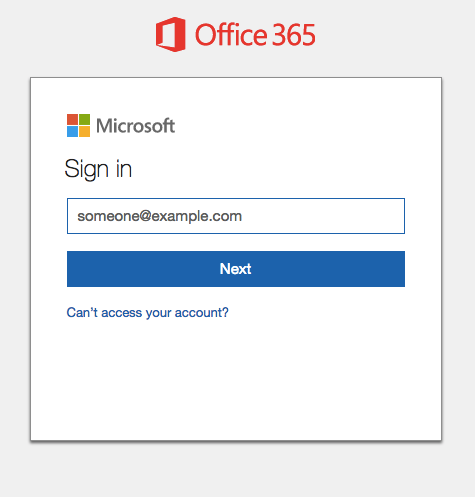 Login to your Office 365 mailbox, go to https://outlook.office365.com and login with your username and password. 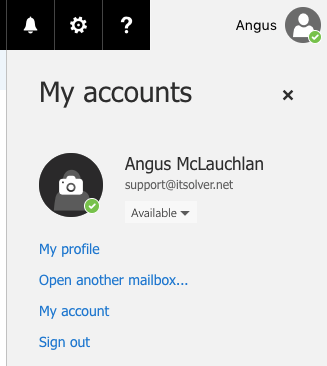 Once you are logged in, click on the top right of the screen where your user picture is located and select Open another mailbox. A popup will appear on the screen where you can enter the name of the shared mailbox. Click search directory and Office 365 will search for matching names. Select the name required and click open. A new window will open for the shared mailbox. The next step is to click on the cog again, this is located in the top right of the screen. Then select Mail. Under Option, go to General > Region and time zone. Choose your language, the date and time format to use, and your time zone. The language you choose will determine the date and time formats for your language. Besides changing your current time zone, you can also go to the Calendar settings (found below Mail) in Options to change the start and end times of your work week to match your time zone.